As reported by the San Francisco Chronicle, Pinterest signed a lease for 490,000 sq.ft. 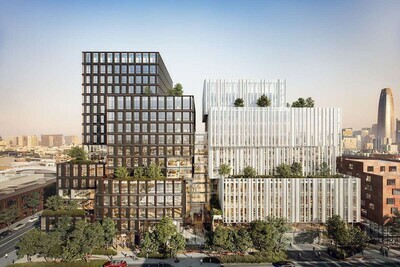 of the 88 Bluxome project we've been working on the design of the past couple years for ARE/TMG: "Pinterest signs massive SF lease as it moves toward IPO". 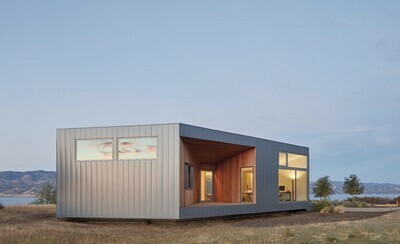 The IIDA Northern California 2019 Honor Awards featured twelve finalists in the Category, Work - Large. The awards ceremony was held at the beautiful Fox Theater in downtown Oakland March 14 2019, and Pinterest HQ2 was recognized by winning the Honor Award in that category. 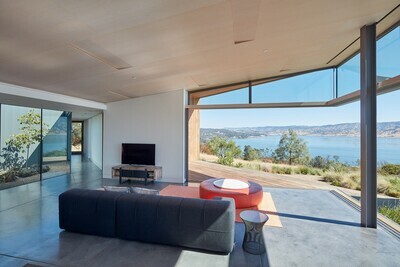 This is the third major design award received thus far for the project. Lisa presents IwamotoScott's recent work Weds. February 20 as part of the University of Miami School of Architecture 2019 lecture series. Lisa and Craig present IwamotoScott's recent work Mon. 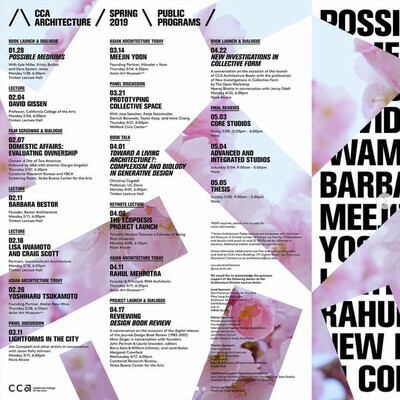 February 18 as part of the CCA Architecture Division's spring 2019 lecture series. Architect's newspaper article, "Cooper Union exhibition rethinks the age-old act of drawing" , features our Double Vision drawing in an article covering the exhibition, Drawing Codes Vol. II, which opened January 22 at the Cooper Union. The exhibition, organized by CCA Digital Craft Lab and co-curated by Andrew Kudless and Adam Marcus, features 24 commissioned drawings by architects and designers from around the US. ArchDaily article, "Exhibition Images explore how Coding can Impact Architectural Representation" , features the drawing "Double Vision" we produced for the exhibition Drawing Codes Vol. II organized by CCA Digital Craft Lab and co-curated by Andrew Kudless and Adam Marcus. The show features this drawing among 23 others produced by architects and designers from around the US. Two IwamotoScott designed parking structure facades - City View Garage in Miami and the upcoming 3rd Street Garage across from the new Warriors Arena - are included in an article by John King for the San Francisco Chronicle: "The Architecture of Parking Garages, from ghastly to glorious". Lisa and Craig attended the Interior Design Hall of Fame gala November 29 2018, accepting their awards from Interior Design magazine Editor In Chief, Cindy Allen, alongside fellow 2018 Hall of Fame inductees Kengo Kuma, Marcel Wanders and Patrick Tighe. Lisa presented recent IwamotoScott work at Architectural Record's 2018 Women in Architecture Conversations - this year's event had the largest turnout since its inception: Fifth Annual Women In Architecture Awards Honors Trailblazers. 950 Market had its groundbreaking ceremony on October 25. Attending and speaking at the event were SF Mayor London Breed, SF Supervisor Jane Kim, and Joy Ou of Group I. The $300m project is a high profile San Francisco mixed use development project on Market Street adjacent to the iconic Warfield Theater, for which IwamotoScott designed the interiors (242 condos plus the amenity and common spaces). IwamotoScott's design proposal, Cellular Origami, is the winner of an RFP invited design competition for creating a new facade for UCSF's 3rd Street Garage. The existing concrete structure is prominently sited in San Francisco's Mission Bay district, fronting the 3rd Street corridor, across from the Golden State Warriors new Chase Center arena, Uber's new HQ and adjacent to UCSF's new Weill Neurosciences Building. 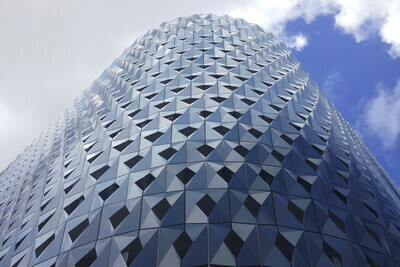 The design of the facade is informed by UCSF's ongoing and widely recognized legacy in life sciences combining groundbreaking scientific, medical and technological innovation. 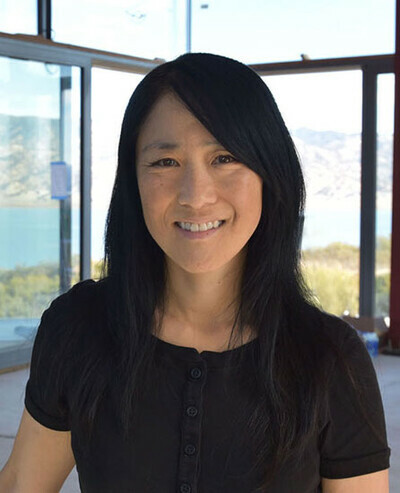 California Home + Design interviews Lisa in a feature article saluting women in architecture: "Five Bay Area Women at the Forefront of Architecture", alongside Karen Curtis, Marsha Maytum, EB Min and Zoe Prillinger. 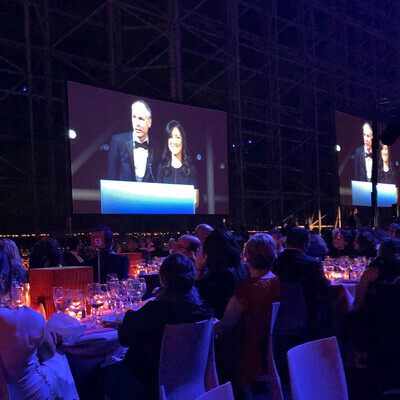 Lisa Iwamoto and Craig Scott are honored to be inducted into the Interior Design Hall of Fame, alongside fellow 2018 inductees, Marcel Wanders, Kengo Kuma and Patrick Tighe. Past inductees include: I.M. Pei, Frank Gehry, Venturi Scott Brown, Michael Graves, Art Gensler, Julius Shulman, TWBT, Ian Schraeger, Deborah Berke, Erwin Hauer, Neil Denari, Gaetano Pesce, Philippe Starck, Patricia Urquiola, Piero Lissoni, Karim Rashid, Antonio Citterio, Shigeru Ban, Eva Jiricna, Richard Gluckman, Pugh Scarpa, Olson Kundig, Bates Massi, Neri & Hu, Studio O+A, Clive Wilkinson and many others. Goto House featured, discussed and diagrammed in Log 43: The Issue of Geometry, "Geometric Observations" by Cameron Wu. 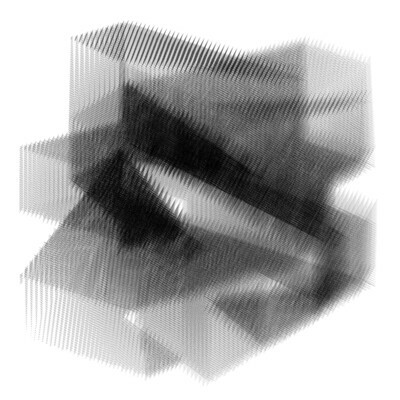 The underlying geometry of the house is the subject of one of a series of speculative geometric analysis of case study buildings presented in the special section, The Issue of Geometry, of the Summer 2018 architectural theory journal, Log, Observations on architecture and the contemporary city published by Anyone Corporation. Architectural Record Announces 2018 Women in Architecture Awards. 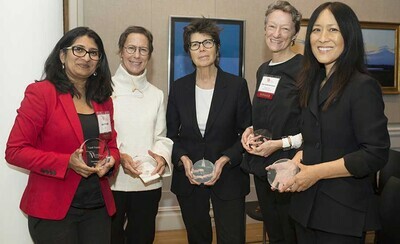 Lisa is honored to receive the New Generation Leader award, alongside awards for Elizabeth Diller, Peggy Deamer, Ellen Dunham Jones and Upali Nandi. 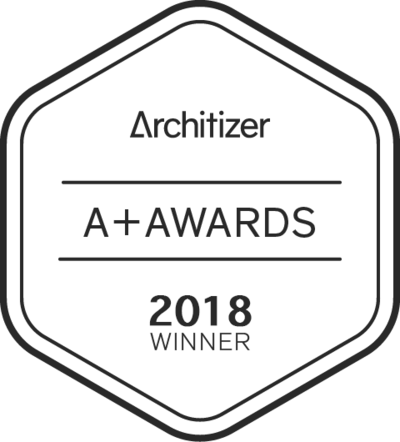 Pinterest HQ2 wins two Architizer A+ Awards! The 2018 Architizer A+ Awards Winners have been announced and Pinterest HQ2 won two awards in the Office Interior (>25,000sf) category -- both the Jury and Popular Choice awards. The 2018 Architizer A+ Awards Finalists have been announced and Pinterest HQ2 is Finalist in two categories: "Office Interior (>25,000sf)" and "Architecture +Workspace". The public voting period for Popular Choice awards is open between July 10 and July 20. Selection of Jury Prizes will be announced at a later date. 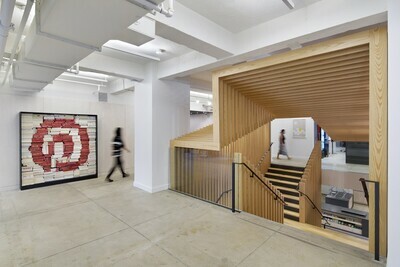 Goto House is Architectural Record's "House of the Month"
Interior Design magazine publishes the latest and largest IwamotoScott-designed Pinterest HQ, which opened in early 2018 and is located one block from the earlier HQ. 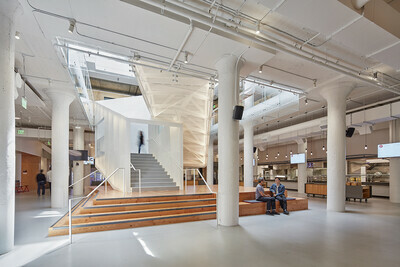 The workspace occupies six floors of a new concrete and glass structure, and features a mid-block alley, public lobby and cafe on the ground floor. 600 Van Ness, a new 13 story multifamily development on a prominent site one block from San Francisco City Hall, designed by IwamotoScott with AI, received unanimous approval from the SF Planning Commission. The project includes 161 units, all below market rate units incorporated onsite, ground floor retail along Van Ness, and several upper level roof terraces. Craig invited to lecture mid-May in a conference in Chengdu, China on the current state of SF Bay Area architecture and urban space as related to tech workspace in the new economy. Pinterest HQ won People's Choice in the Frame Awards, "Honoring the World's Best Interiors", in the Spatial Awards: Large Office of the Year category. Pinterest HQ is featured in the "Creative Production" section of a San Francisco focused issue of renowned Japanese magazine: San Francisco, Urban Transformations, A+U 18:04 #571. 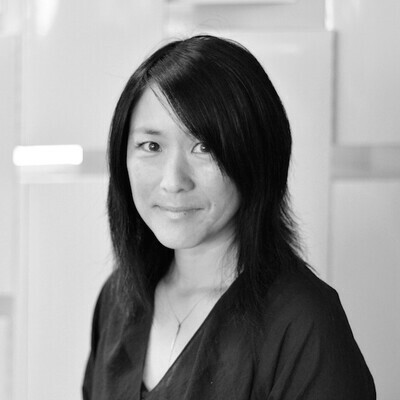 Lisa invited to present IwamotoScott's work as part of the T_ADS Colloquium, "Where Does Design Start and End", at University of Tokyo, moderated by Yusuke Obuchi. Lisa and Craig also presented IwamotoScott's work as part of a colloquium at Taisei Corporation in Tokyo, also moderated by Yusuke Obuchi. IwamotoScott-designed Bloomberg Tech Hub and Pinterest NY were both honored in the 2017 Wood Design Awards. Pinterest HQ selected as a Finalist in the Frame Awards, "Honoring the World's Best Interiors", in the Spatial Awards: Large Office of the Year category. This is Frame magazine's 2018 biannual Frame Awards (previously known as The Great Indoors Awards). Architect magazine published an article in the November issue, "Pinterest's New York Office Scissor Stair", featuring the design and construction detailing of this central element that anchors the NY Pinterest office space. 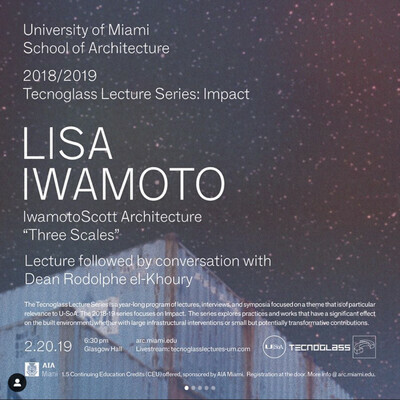 Lisa presented IwamotoScott's recent work in Lisa Angeles October 18, 2017, in a talk titled "Across Scales, as part of the SCIArc architecture lecture series. SF Business Times posted an article September 15, 2017, focusing on a Group i project IwamotoScott is very excited to be involved with -- designing an SF city block with 86 new single family 'incremental' houses in the city's Portola district. After being located at 729 Tennessee Street since 2010, IwamotoScott moved in late September to a new location: 128 Texas Street, at the edge of the Potrero Hill Design District. While we'll miss our friends at Obscura (who we shared space with), we had to move on due to the Tennessee building's upcoming demolition for redevelopment. Our new place is a beautiful small standalone warehouse spanned by bowstring wood trusses. Stay tuned as we get settled into this new space! 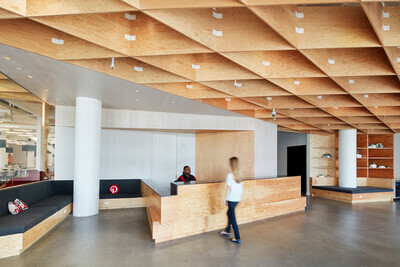 Pinterest HQ featured on CNN Style, in "Definitive Design: The best places to work?" CNN Style posted a Definitive Design series feature, "Best places to work?" that includes the Pinterest HQ. Read More. Lisa presented IwamotoScott's recent work as one of the invited speakers at the AIA Tennessee Annual Conference in Memphis, alongside. Read More. IwamotoScott are thrilled and honored to receive ACADIA's 2017 Digital Practice Award of Excellence, to be presented at the annual ACADIA Conference at MIT in late October. Read More. 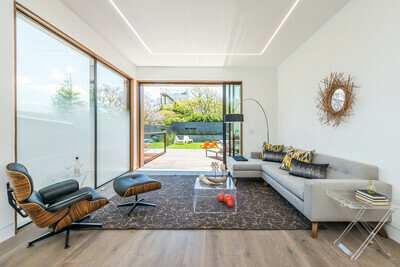 Noe Valley House covered by Dwell in feature, "10 Modern San Francisco Homes". 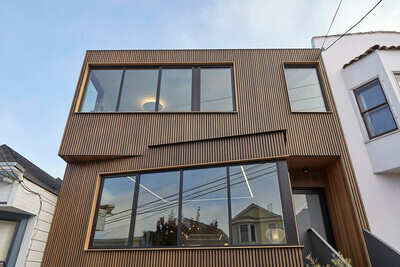 Online features of Noe Valley House appear on ArchDaily, dezeen and Contemporist. 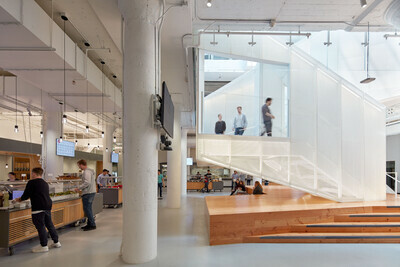 Two Jury Prizes in this year's Architizer A+ Awards went to Pinterest HQ: in Typology category, Commercial: Office Interiors >25,000sf; and in Plus category, Architecture +Stairs. Read More. The People's Choice Award went to Pinterest HQ in the IIDA Northern California 2017 Design Awards. "Office Design Grows Up: the coolest workspaces of 2016 don't have a foosball table in sight". Read More. The recently completed City View Garage in Miami's Design District is featured in Surface magazine's December Issue, "The Art Issue". Craig presented IwamotoScott's recent work in a talk in the Architecture Lecture Series at UC Berkeley's College of Environmental Design. Read More. New Pinterest HQ, completed at the beginning of the year is featured in Architectural Record's August issue, in the article by Lydia Lee: "Pin-Worthy: A technology company with design roots refines its ideal workspace". Lisa presented IwamotoScott work, and Lisa and Craig roundtable with NemeStudio, VeeV, Price Studio and Stanley Saitowitz, as part of the Architecture Next Now symposium organized by Clark Thenhaus. Ground-up new construction of 3,000sf spec house completed at 437 Duncan Street in Valley. Featured on CurbedSF. Read More. 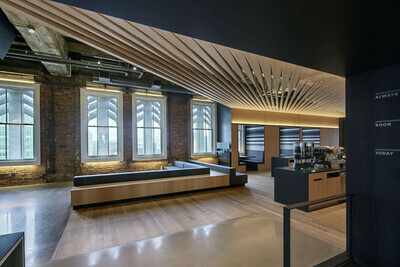 New Pinterest HQ, completed at the beginning fo the year is first made public in Business Insider article. From ArchDaily: "Here we highlight the 100 most visited works of architecture in the US, turning them into case studies and references for millions of architects, students and journalists that seek the most important, inspiring works of American architecture." Lisa and Craig were among the jurors invited for two days of Final Thesis Reviews at Harvard;s Graduate School of Design. Lisa presented IwamotoScott's recent work in a talk in the Architecture Lecture Series at University Of Minnesota. Bloomberg Tech Hub and City View Garage each won a 2015 Best Of Design Awards - Bloomberg in the Best Interior category, and City View in the Best Facades category. Read More. The recently completed City View Garage in Miami's Design District was awarded by the Pennsylvania Parking Association and the Florida Association. Bloomberg Tech Hub is an Honoree in the 10th Anniversary 2015 Best of Year Awards from Interior Design magazine, in the Mid-size Tech Office category. Readmore. IwamotoScott honored as one of eight architectural firms selected for Curbed's inaugural 2015 Class of Groundbreakers. Read More. Craig was invited to present the work of IwamotoScott at the special event held at CCA in SF for the Architectural League of NY's 30 Years of Emerging Voices. He presented work along with 12 other architects, 10 of which were also honored in the first 30 years of the prestigious Emerging Voices award. ReadMore. The recently completed Bloomberg Tech Hub is featured in Architectural Record's annual September Record Interiors Issue. Read More. Lisa was invited to present the work of IwamotoScott at the 13th International Alvar Aalto Symposium, held every 3 years in Jyveskyla Finland. She presented work along with 3 other architects in the Digital category - one of four discussion categories organizing this years symposium: Local. Social, Digital, Material. Read More. 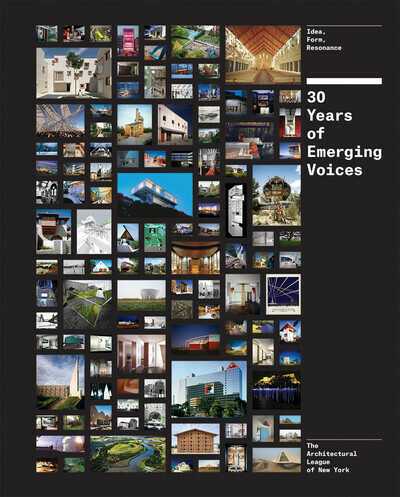 To celebrate the Architectural League of New York's 30th Anniversary of Emerging Voices, a new book was published by Princeton Architectural Press featuring all of the recipient's work from the past 30 years. Emerging Voices was established by the Architectural League as an annual "invited competition for North American firms and individuals with distinct design voices and significant bodies of realized work". Read More. IwamotoScott-designed new headquarters for Pinterest is now under construction in San Francisco. The nearly 100,000sf space occupies 4 floors of a concrete framed warehouse in SOMA, and compliments their earlier workspace locations nearby, helping to establish an urban campus for the rapidly growing company. Completion is expected later this year. IwamotoScott's design for City View Garage in the Miami Design District is a Selected Work featured on ArchDaily, May 24. Read More. IwamotoScott designed Redpoint Ventures new ground floor space facing South Park in San Francisco. It is due to be completed this summer. The AIA Texas 2015 Design Awards Jury included IwamotoScott's Craig Scott. Lisa and Craig present IwamotoScott's recent work in a talk in the Architecture Lecture Series at Stanford University. IwamotoScott's design for City View Garage in the Miami Design District is featured on designboom. Read More. 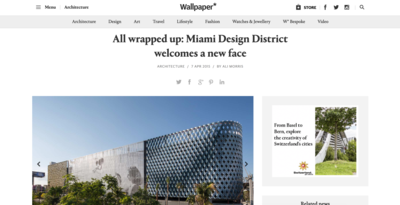 Along with NY architects, Leong Leong and LA artists John Baldessari, IwamotoScott were commissioned by Dacra and LVMH Real estate to design a portion of the City View Garage in the Miami Design District - the project is featured on Architizer. Read More. The launch party event was held May 6 for Bloomberg's West Coast Technology Hub. The 20,000sf office and event space designed by IwamotoScott is now completed, occupying two upper-level floorplates in the old Pac Bell building at 140 New Montgomery, in SF's SOMA district. Read More. 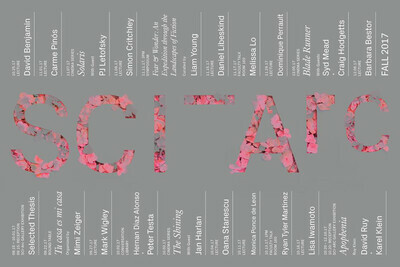 Lisa presented IwamotoScott's recent work in a talk in the Architecture Lecture Series at Rhode Island School of Design. Along with NY architects Leong Leong and LA artists John Baldessari, IwamotoScott were commissioned by Dacra and LVMH Real estate to design a portion of the City View Garage in the Miami Design District - the project is featured by Wallpaper*. Read More. City View Garage in the Miami Design District received an American Institute of Architecture 2015 Honor Award of Excellence from AIA Miami.